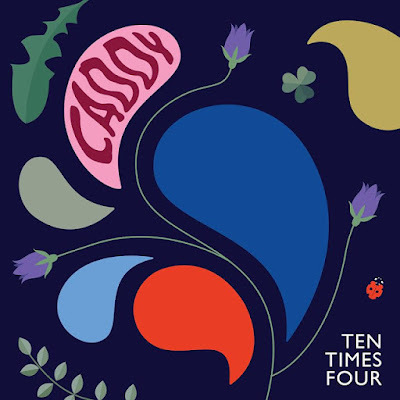 Order CADDY - "TEN TIMES FOUR" here on vinyl, in stock now. CADDY - "TEN TIMES FOUR" (SUGARBUSH SB055), following on from 2015's THE BETTER END, here comes the latest album by Norway's finest: Caddy. Another very fine selection of fantastic songs this really is the last word in Powerepop and in the words of Powerpop News: "There are so many standout tracks here it’s hard to know where to start. The pulsating start of “Somewhere Beautiful” bursts into about as radio-friendly a chorus as you’ll hear this year. The aptly named “Contagious” is more than worthy of it’s title. With it’s harmonies, hand claps and monster hook of a chorus, it’s a real keeper. Then, one can settle comfortably into the jangle-fest that is “Not the One” or soak in the Big Star feel of “Safe Travels”. It’s nothing short of a vacation for the ears. With fantastic production, a killer cut and a fantastic sound, this 140gm pressing is housed in a pvc lined inner for added protection. Only 300 copies pressed, this is expected to sell out very quickly. Only £19.99 including worldwide postage!